A waterproof backpack ensures that you can travel hassle-free to any area where the snow flies and rain start to fall. If you are using a backpack that is not waterproof then it can do a severe damage to your belongings. First of all, let’s understand the types of backpacks that are available in the market. As from the name you can imply that these are the backpacks which can resist the water. That means a splash of water or a light sprinkling rain cannot damage the items inside the bag. However keeping it more that a few minute under light rain will get your items wet. Unlike water-resistant backpacks, these bags can take heavy downpours and a heavy rain easily. However, they cannot be immersed in the water for a long time. 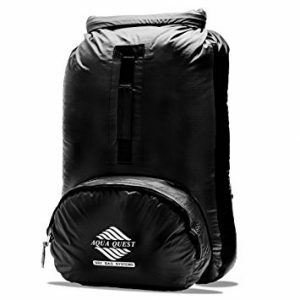 These type of bags are best for hiking, camping and traveling to the areas having higher chances of rain. These are the bags that are solely made for water-based activities. These backpacks can be submerged in water for a long time without damaging any of the items in the bag. You will not have to worry if you drop them in water, it will eventually come to the surface because they will be air-tight and you can easily retrieve them. The Aqua QuestStylin is a 100% waterproof backpack which is best for extreme adventure as well as for daily use. It will keep your valuables safe from snow, rain, dirt, sand etc. It can also survive the quick submersion in the water. Apart from having this much features, it only weighs 1.9lbs and uses extremely tough and abrasion resistant 420D RipStop fabric. The two shoulder straps are adjustable as per your comfort and the chest and hip straps make it even easier to carry it around easily. It has 3 variants that you can choose from. The backpack is covered under two year ‘No Worries Warranty’. Aqua Quest Himal is also a 100% waterproof backpack and can handle extreme adventure as well as regular usage. It will keep your belonging from rain, snow, sand, dust and other things. This backpack is ultra light and weighs only 1.1 lb. The build quality is solid because of the material used like 70D RipStop fabric, TPU lamination, heat taped seams and more. Unlike the previous bag, it has only waist and shoulder strap which are flexible and fully adjustable as per requirements. You will be surprised to know that this backpack is foldable and can fold into its own front zip pocket. The size of the bag when its fully packed is 11 x 7 x 2.5 inch. All the luggage bags from Aqua Quest comes with two years ‘No Worries Warranty’. 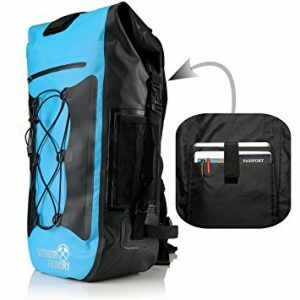 It is a 100% waterproof laptop backpack and is appropriate for almost any usage and environment. An optional laptop sleeve is available so that you can carry a laptop and documents in it. It is ultra tough as it is made up of 500D PVC with frequency welded seams with rugged construction. The backpack can also withstand brief water immersion and will float on water if accidentally dropped in the water. The laptop sleeve is perfect for 15-inch MacBook or a 15.6-inch laptop. Two mesh side pockets can be used to store frequently used items. 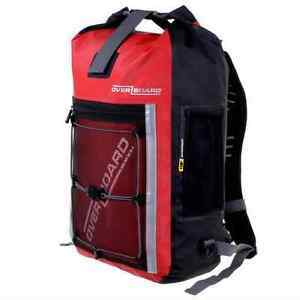 The back of the bag is padded and shoulder and waist straps provide superior load control. It comes with one-year satisfaction warranty which can be further extended up to two years with registration. SealLine Boundary Pack is perfect for carrying around things for everyday use as well as on hiking and other adventures. It features watertight dry seal rolling top closure along with reinforced vinyl body and bottom. It will protect the backpack from water and your things will be safe inside. 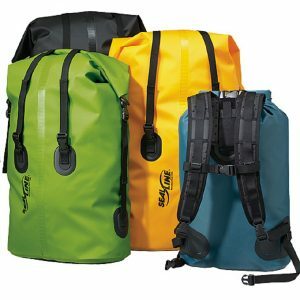 These backpacks are available in three sizes 35L, 75L, and 115L. There is also something called lightweight suspension system while includes waterproofed and ventilated shoulder strap and waist belt. The bag weighs 1.53kg, 1.16kg and 0.85kg for 115L, 75L and 35L respectively. 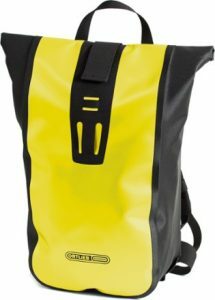 Ortlieb Velocity is an awesome looking waterproof bag that is good for a day tripper. The price of the bag is very affordable and is the best pick for students. It has an interior pocket with zipper for keeping small items. The carrying handle is quite comfortable with foam padding. The bottom of the backpack is protected by protectors at corners and at the bottom. The waist strap is also available for tight and secure fit. Also, there are various accessories available like cell phone holster for the shoulder strap, Velcro extension strap etc. which can help you to extend the features of the backpack. SealLine Urban Backpacks are RF-welded Backpacks that offer seamless all-weather commuter protection. A watertight roll down closure provides easy access to the bag and provides waterproof protection. Add-ons like Zipping Pocket, Mobile Electronics case can be attached due to modular design. There are five color options that you can choose from which is more than enough if you are not so obsessed with colors(Just Kidding :P). The material used is RF-welded, PVC-free 600D PU-coated polyester body and have scrim-reinforced urethane detailing. The small size weighs 0.82 kg and the large once weighs 0.95 kg which can be considered as lightweight. 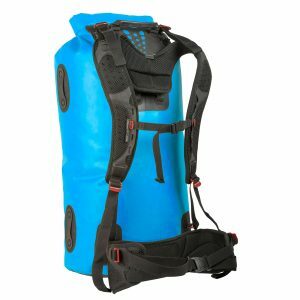 Aqua Quest Sports Pro is a lightweight 100% waterproof backpack which only weighs 850g and is of 30L capacity. It features high-density foam back for stable support, durable internal liner with ZIP pockets for small things. 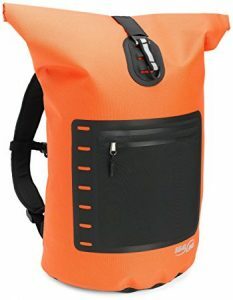 This bag can also resist quick immersion in the water like other 100% waterproof backpacks. The material used is abrasion resistant 420D RipStop fabric with DWR coating and TPU lamination and heat taped seams. This will be enough to make it waterproof and also durable. Shoulder and waist straps are well padded and flexible. All the products by Aqua Quest come with two years ‘No Worries Warranty’. 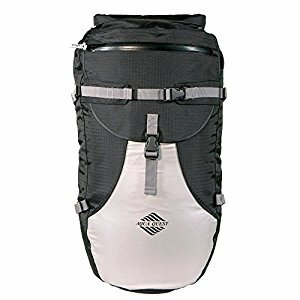 Sea To Summit Hydraulic Dry Pack is an amazing and cool looking backpack as you can see from the image given above. It is made up of 600D TPU Laminated Fabric which is waterproof. It can easily withstand low temperatures because it’s fabric is UV Resistant and PVC free. The availability of chest, as well as waist straps, makes it easier to distribute the weight across the body. 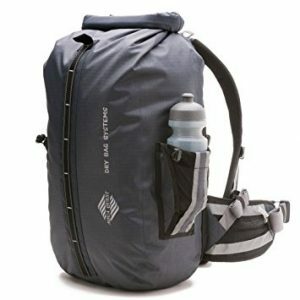 There are three variants of this backpack 65L, 90L and 120L and four color options are available. OverBoard Waterproof Pro-Sports Backpack is a 100% waterproof backpack and will start floating if accidentally dropped in water. The super tough material is used on side and base and 2-way sealing system i.e. traditional top and side compression makes it sturdier to resist the water. Front zip mesh pocket will help you in storing items that are of quick use. There is Ventilated back panel that is designed to provide an air-flow mechanism. The back has Class 3 waterproof rating. So that was our list of the best waterproof backpacks for traveling that we were able to find in the market. If you have some other backpacks in mind which will fit in this article then do let us know. If you already have any one of these backpacks or are willing to buy any one of them, then do let us know about your experience with a short review. It will be helpful to the readers and will serve as a buying guide for them.